Nigeria: Political macabre dance, Cecelia Ibru and the Ex-SAN | ItuaLive! The political landscape in Nigeria has gone through some tumultuous episodes in the last couple of weeks. From the zoning debacle to the highly disputed celebration of our golden jubilee, it has been drama all the way. 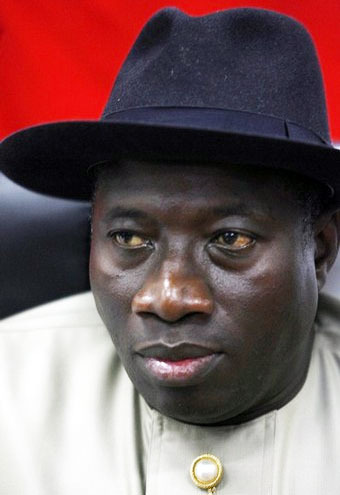 After President Goodluck Ebele Jonathan declared his intention to run in the 2011 presidential elections, he sent lots of tongues wagging. One of which was Malam Adamu Ciroma’s (Former Minister of Finance), who insists that the zoning arrangement within the Peoples Democratic Party (PDP) should be held sacrosanct. He wants the remaining term that Late President Yar’Adua left unserved ceded back to the North. That’s assuming President Yar’Adua and the PDP win. (This zoning guys are really taking a lot for granted). One question these pro-zoning protagonists have still not answered is whether a northern president would willfully leave office after on term. President Jonathan claimed ignorance or should I say amnesia as to the gentleman’s agreement within the party (clever, very clever). Well if he were not running, we would have been left with men like Alhaji Atiku Abubarka (who has proved to be a better itinerant than a Fulani nomad), Alhaji Ibrahim Badamosi Babangida (who truncated the freest and fairest election in our national history and now wants to benefit from a democratic process), and Dr. Bukola Saraki (who may want his sister to succeed him as President if he wins, thus ushering in the Saraki dynasty at national level). The last of this issue has not been heard. Lots of mudslinging and calumny have been traded by the pro-zoning and the pro Jonathan camps. It seems that only after the PDP primaries would the matter be put to rest, at least temporarily. As we got closer to the October first celebrations, many Nigerians suggested we had a lot to celebrate (mainly political government holders) while others think we should bury our heads in shame. The latter groups say there is no light, no water, no security, and no infrastructure. Yet the government rolled out the drums, and invited the world for our independence and rightly so. We do have a lot to be jubilant over. What surprised me the most was the patriotic way ordinary Nigerians were enthusiastic about the event. They came out in the hundreds and indeed thousands towards the Eagle Square only for the Movement for The Emancipation of Niger Delta (MEND) to leave a sour taste in every ones mouth. Two car bombs exploded. The hitherto peaceful FCT was violated under the watchful eye of a son of the soil (a south- south president). The President was both embarrassed and angry at the incident. He quickly exonerated MEND and pointed some fingers at terrorist group he knows but won’t name but kept the information close to his chest (why he won’t say, we don’t know). 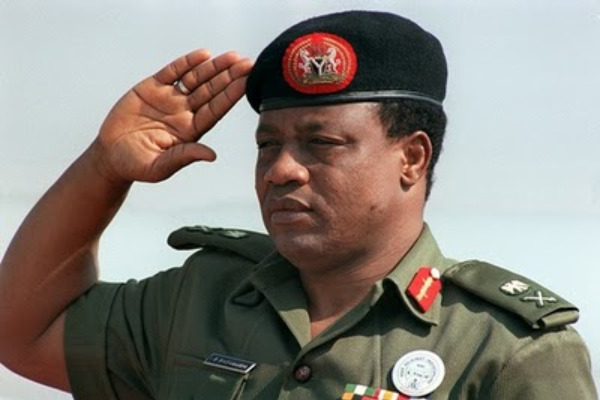 The IBB campaign organization was first to react and stated that their principal would do a better job at protecting the lives of citizens (can any body remember Dele Giwa? What of members of NANS killed during the 1993 riots?). Jonathan-Sambo campaign responded with even more fire power. Nobody remembered the poor father who lost two of his sons on that fateful day. It had become full blown politics. Another kind of “blast” went off in the Federal High court in Lagos on Friday (8th October 2010), with the first casualty of “Hurricane Sanusi” emerging. 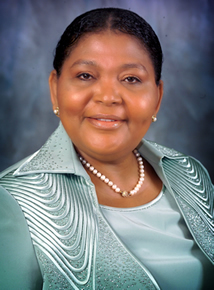 Mrs. Cecilia Ibru was convicted and sentenced to to18 months in prison after pleading guilty to charges bordering on economic crimes. She is to forfeit assets and property estimated to be worth about N191 billion naira (my God, all that cheddar for one person) listed in a settlement agreement signed by both parties (EFCC & Ibru). Well a friend of mine humorously suggested he would gladly do her jail time for one percent of the money (who wouldn’t?). 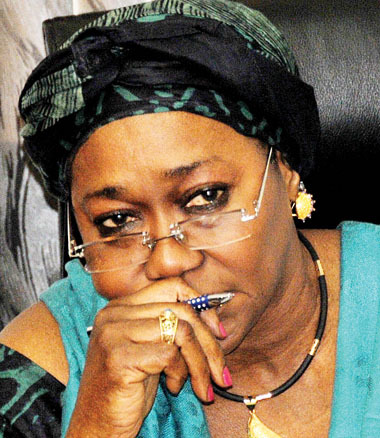 The hitherto “toothless” EFCC led by Mrs. Farida Waziri has registered another major conviction and may have succeeded in winning many Nigerian hearts over. This is coming after the infamous bust of Lagos sociality and politician, Olabode George who is currently cooling off (I doubt there are fans in there) in prison. For many admirers of Mrs. Ibru like my self (Yes, I just love the woman, I don’t care what you say), it is sad that her career has had a bitter end to it. But at least crime and punishment isn’t just a cliché anymore in this country. Malam Nuhu Ribadu’s has been rivaled at last. My prayer now is that the money is not “chopped” along the way as usual. It should be reinvested into the economy so as to boost share holder confidence in the banking sector. In yet another interesting story, Nigerians have been greeted with the recent woes of the erstwhile Attorney General and Minister of Justice, Mr. Michael Aondoakaa. He is reputed to be one of the most powerful men in Nigeria during late President Yar’Adua’s regime. Mr. Aondoakaa who famously said, “the President can rule the country from anywhere in the world”, must be regretting his past actions now. He has been suspended from using the rank of Senior Advocate of Nigeria by the Legal Practitioners Privileges Committee. His “crimes” range from obstruction of justice to abuse of powers. How are the mighty fallen! Indeed, the evil that men do may not have to wait till their death.